“A delicate yet powerful fragrance that celebrates fearless femininity?” Yes, please. 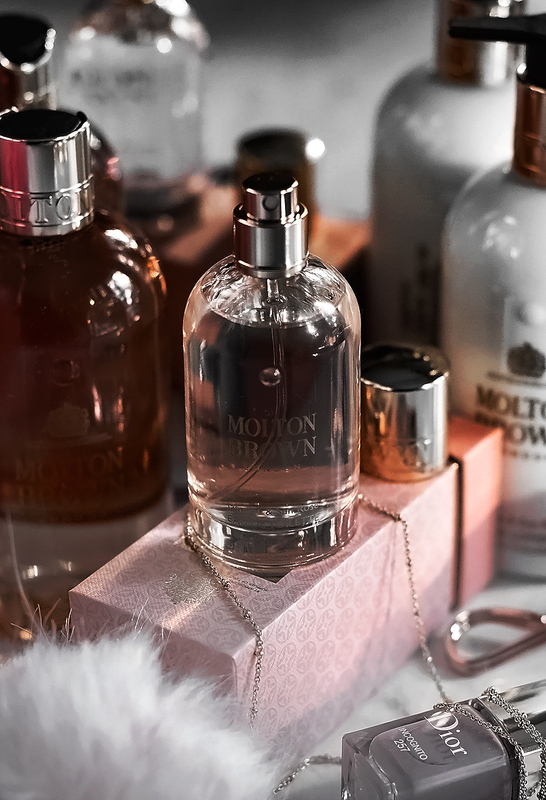 I’ve been a huge fan of Molton Brown products for a couple of years now. What can I say, I have a thing for body care products that come dressed in a beautiful scent. 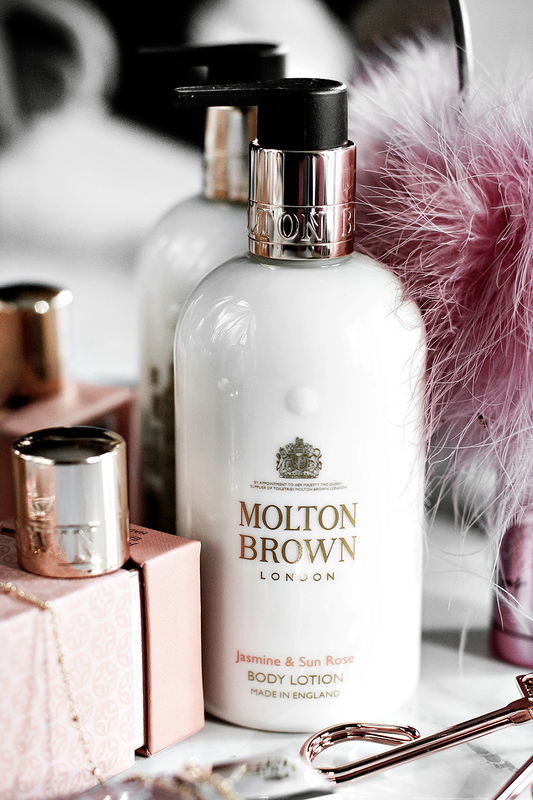 One of the reasons I fell in love with Molton Brown products (their shower/bath gels in particular) was their uniqueness. Each collection I’ve used is like nothing I’ve ever experienced before and I’m always left pleasantly surprised. Their latest, Jasmine and Sun Rose* collection is no exception. 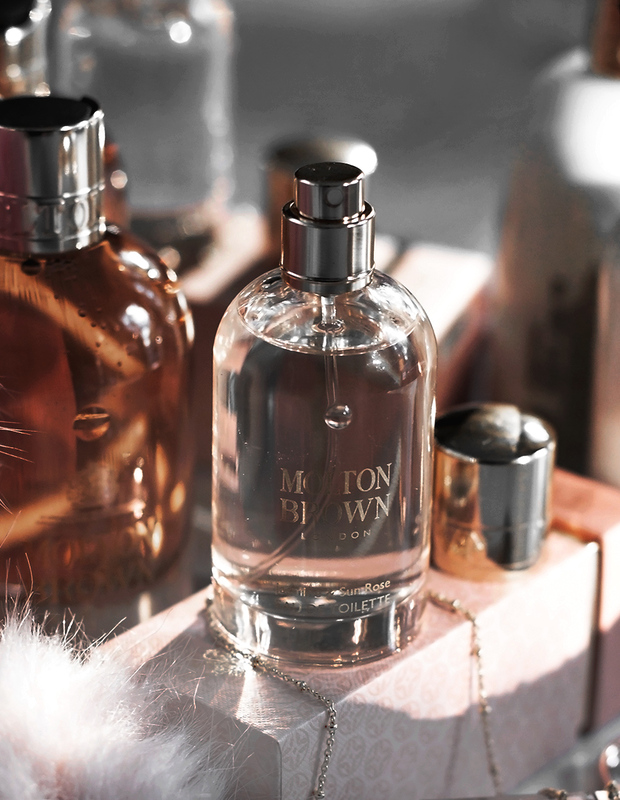 Top notes: raspberry, bergamot, and peach. Heart notes: jasmine, osmanthus, and rose. Base notes: labdanum, patchouli, and musk. 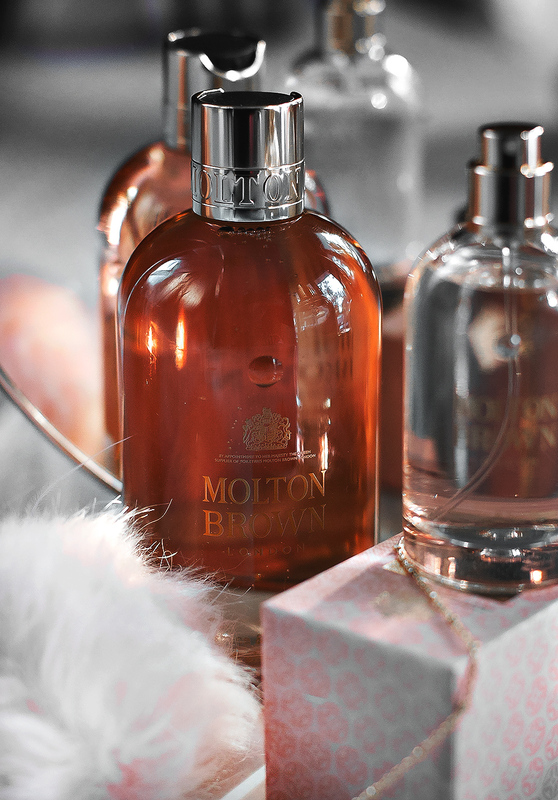 Of course, it’s not all about fragrance, but that’s what Molton Brown is known for- blissfully fragrant products. I usually keep a bottle of one of their bath & body washes in my self-care kit; their formulas are gentle on the skin, luxurious, and each beautiful scent never fails to rejuvenate the mind and help me de-stress in a bath after a long week. My favorite, their Vintage With Elderflower Bath & Shower Gel is probably amongst some of the most beautiful scents I’ve ever experienced. Seriously. While I’d definitely consider myself a fragrance-obsessed person (just the other day, my little sister looked at my scented candle collection asking if I don’t think candles are a waste of money- I laughed, kindly asking her to please not tell me how to live my life) I am not a huge fan of overly-feminine fragrances. You know the kind- overly fruity and/or flowery scents that tend to annoy you after a while. The Jasmine and Sun Rose collection is nothing like that. I’d say that it is a perfect combo of fruity and flowery with a musk base. It’s very soft, delicate and definitely not one to overwhelm- which is exactly what I love. I want to say that this scent, in particular, reminds me of those warm, end-of-the-summer evenings. With a delicate scent like this, I love layering it on with the shower gel, body lotion, and Eau de Toilette. 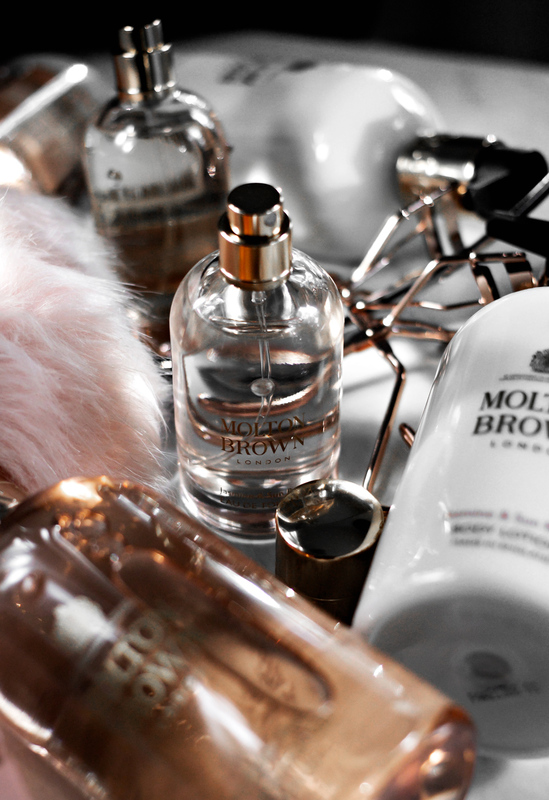 With some fragrances, layering can be a bit too much, but with this particular collection, I’d say it’s highly encouraged.